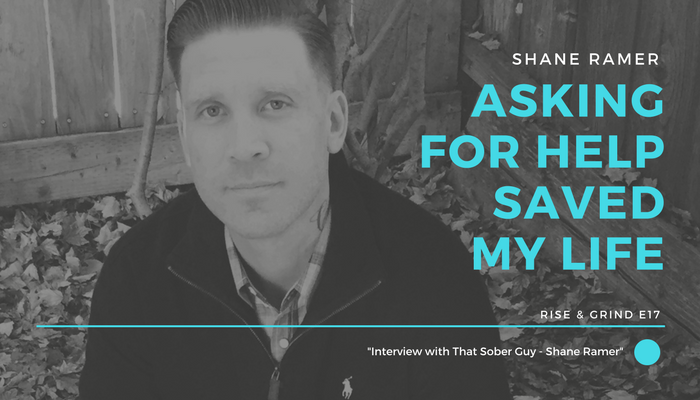 This week we sit down with Shane Ramer, founder of That Sober Guy Radio. He gives us an opportunity to hear his amazing story of recovery and how asking for help led him to his purpose to speak out. Now he is helping to save people’s lives through a message of strong faith. Shane Ramer is the creator & host of ThatSoberGuy.com and Sober Guy Radio. He also works as a corporate media producer with an extensive background in music and production. In September 2013, after a long battle with addiction, Shane checked himself into a 30 day rehab facility, and has remained clean and sober ever since. In 2014 he created Sober Guy Radio, which focuses on sharing personal experience and offering resources to help those struggling and recovering from alcoholism and addiction. That Sober Guy platform continues to grow and provide a solid resource in the recovery community. Shane is married to his wife Jessica of 13 years, and they have a daughter Lucy, son Cash, and live in Northern California.